Generation of microsatellites and especially the nowadays appearance of cubesats with active involvement of universities and small innovation companies have increased interest in passive magnetic attitude control system. 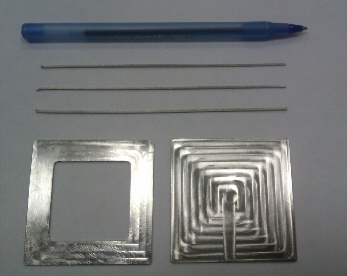 Such system is made up of a strong permanent magnet and hysteresis rods form magnetically soft material. The rods dissipate the satellite angular motion energy after the kick-off and provide asymptotic stability of the satellite nominal motion. We developed a special facility to study the hysteresis dampers properties. 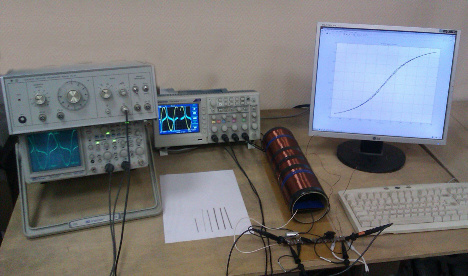 The facility includes a periodic signal generator, a large-diameter solenoid generating alteration magnetic field, a measuring coil and a digital oscillograph. The results from the latter are processed at a computer with special software. Read more: Publication on measurement methods.